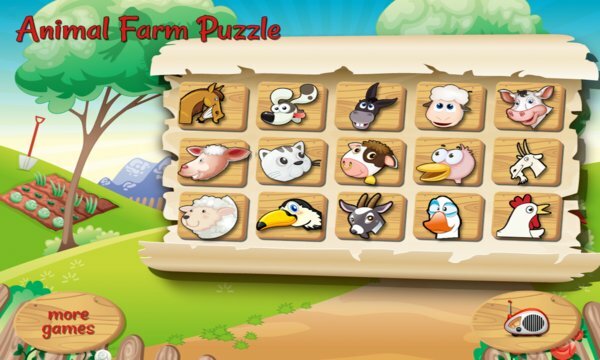 "Animal Farm" is a fun puzzle game intended for kids between ages 2 and 6. 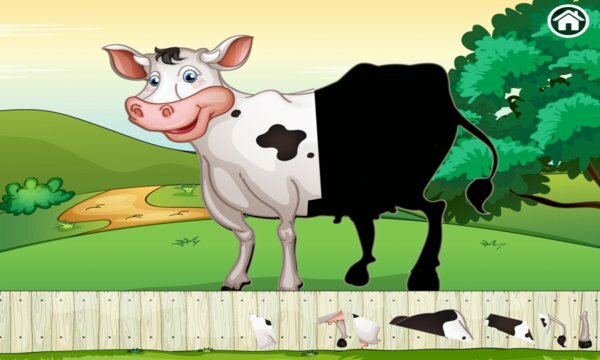 "Animal Farm" takes children on a journey through a farm, where they encounter a wide variety of animals. Using drag-and-drop actions, the pieces of the puzzle can be arranged into the proper places to form the animals, and once successful, the kids are rewarded with an exciting display of sounds and balloons.